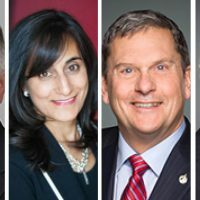 The Trudeau government has loosened the rules requiring departments to centralize all IT services through Shared Services Canada, though it remains unclear if and how they will exercise this new power. 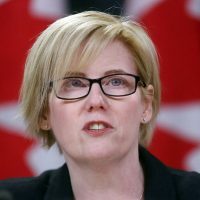 Shared Services Canada is exploring transferring some responsibilities for federal information technology systems back to individual departments and agencies, in the wake of legislative changes weakening the agency’s monopoly on digital services. 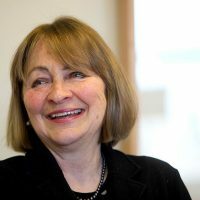 Pat Breton, director general of procurement and vendor relations with SSC, said the agency has started reaching out to the 43 federal departments and agencies it counts as clients to discuss potential service improvements, including bringing certain IT operations back in-house, and plans to hold formal talks with departmental chief information officers in the coming weeks. 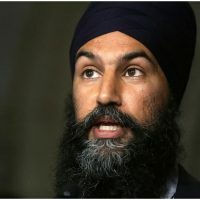 “We’ve been proactive in telling them that this is a new tool that we’ve got and we’ll be working with them to put it in place, where appropriate,” he told The Hill Times. The 2017 budget implementation bill, passed in June, made significant changes to the mandate of SSC, which was launched by the former Conservative government in 2011 with the responsibility of delivering email, data centre, and network services in a “consolidated and standardized manner,” and to offer optional technology-related services to government organizations on a cost-recovery basis. First, it watered down SSC’s authority to consolidate IT systems across the public services by permitting organizations to opt out of using the agency in “exceptional circumstances.” It also restored the ability of individual departments to purchase software and digital hardware themselves, instead of conducting all business through the agency. The bill, though, doesn’t allow for blanket exemptions from using SSC, with departments only permitted to opt out of using some services, according to Mr. Breton. Parts of departments can be granted complete exemptions from all SSC services. 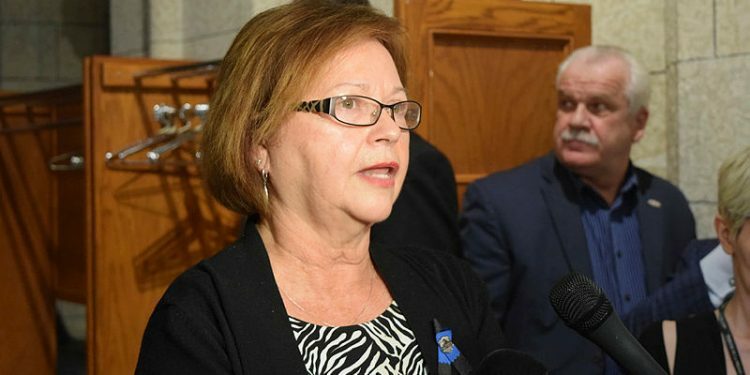 The decision to grant the authorization is left to the minister responsible for SSC, Procurement and Public Services Minister Judy Foote (Bonavista–Burin–Trinity, N.L.). When asked, Mr. Breton didn’t disclose if any departments had asked to opt out since the bill passed, noting that the SSC was only at the “starting point” of defining the exceptional circumstances process. However, departments like Global Affairs that work in remote and international locations would be “obvious areas for consideration,” he said, citing stringent restrictions on who can provide SSC services. 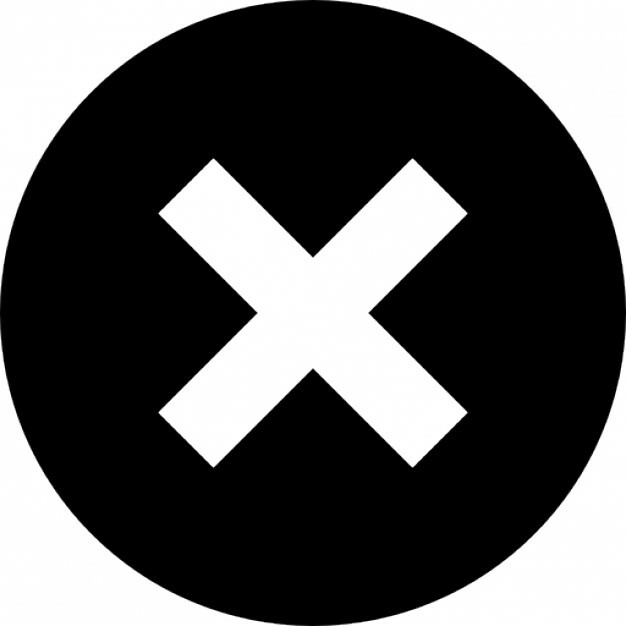 The Hill Times reached out to several departments and agencies that would appear to fit the criteria or have been identified in media reports as encountering challenges with SSC to ask if they planned to seek an exemption from using its services, though none publicly confirmed they would. 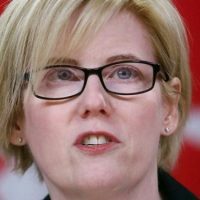 Global Affairs Canada will “continue to work together and maintain our existing partnership,” according to a statement from spokesperson Jocelyn Sweet. 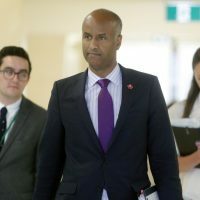 A spokesperson for the Canada Border Services Agency simply said it “supports” the government’s goals and priorities, and will continue to contribute to areas related to its mandate of defending the country’s borders. 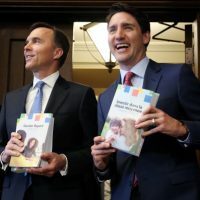 Statistics Canada said it values SSC as a “reliable service provider,” but clarified that while the budget implementation bill provides “more flexibility,” it doesn’t allow departments or agencies to opt out. The legislative changes came shortly after the public release of a damning government-ordered report by U.S. consultancy firm Gartner that accused Ottawa of “vastly” underestimating the scope and complexity of consolidating IT systems under SSC, and expressed grave concerns about the slow pace of progress, while knocking the former Conservative government’s decision to immediately transfer departmental IT budgets to SSC. Gartner consultants concluded they “lack confidence” in the abilities of the agency and government to complete the project, according to the report, first obtained by the CBC through access to information legislation. The Liberals pointed to the report as proof that the former Conservative government failed to put in place the basic fundamentals to ensure the agency’s success, noting that in its drive for cost savings, it pulled money from SSC almost immediately after its inception. 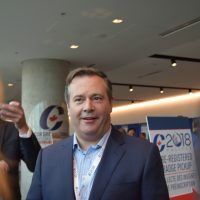 “The project was set up to fail through underfunding, lack of service standards, and poor planning from the previous government,” Jean-Luc Ferland, press secretary to Treasury Board President Scott Brison (Kings-Hants, N.S. ), told the CBC. The agency has faced strong criticism, and occasionally resistance, from internal and external sources, as it has assumed more control over digital infrastructure over the years, and struggled with ambitious projects consolidating vast amounts of data from across government. 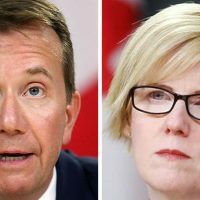 For example, a plan to transfer 550,000 email accounts to the new Canada.ca email system continues to sputter out, with less than 15 per cent of accounts moved over, as of May 2017, more than two years after the original deadline, reports CBC News. 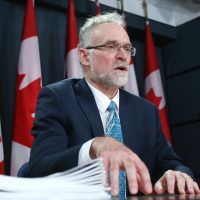 Former chief statistician Wayne Smith, who resigned from Statistics Canada last fall in protest of what he saw as SSC’s threat to the department’s independence, blamed the struggles of the agency on poor management and meagre investments. 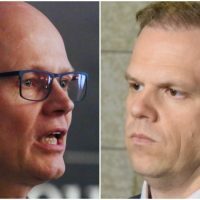 Despite transferring the budgets, the former Conservative government failed to “make clear” what responsibilities and obligations SSC owed to the departments, he said, sowing confusion about the new agency’s priorities. Making matters worse, the government quickly pulled money from the SSC to meet already-booked cost savings, leaving the agency scrambling to maintain existing infrastructure while moving over to new technologies, according to Mr. Smith. “They had to operate the legacy infrastructure…while somehow finding the money in their budget to create new data centres, and on top of that produce $150-million in savings,” he said. 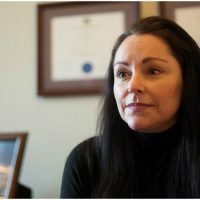 “Like Phoenix, Shared Services was conceived by the former Conservative government with cost savings as its primary goal,” she said in a statement, referring to the government’s troubled pay system. 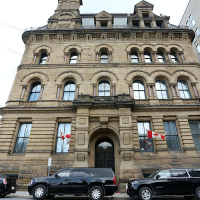 A spokesperson for the union representing Canadian foreign service officers described its members’ experience with SSC as “mixed, at best,” saying implementation has been slow and costing savings yet to be discovered. For example, while accommodation costs have decreased under the new system, any savings are “swallowed up” by increased commuting times and travel expenses, said Eric Schallenberg, the communications officer with the Professional Association of Foreign Service Officers. When asked, Mr. Breton refused to categorize the new reforms in the budget bill as a repudiation of SCC’s business model, instead describing it as “evolution” of the agency’s need to balance client service with its mandate to consolidate and centralize. In fact, he said the changes in the budget bill were made at the behest of SSC, in response to issues identified over the past years affecting efficiency and service delivery, such as difficulties consolidating software and hardware purchases. 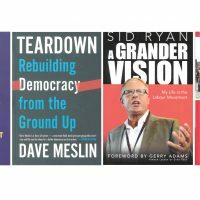 Under the previous system, Public Works, now known as Public Services and Procurement Canada, was able to delegate small purchases to the departments or agencies receiving the goods. SSC, however, was unable to replicate that purchasing process because of legislative restraints, making the agency responsible for some 15,000 new, mostly “low level, low complexity” transactions, such as printers and computers, according to Mr. Breton. Under reforms introduced in the budget implementation bill, departments and agencies will now be able to directly purchase products through SSC from a list of standing offers, much like the former delegation system. The agency will be responsible for managing standing offers, negotiating prices, and ensuring security. 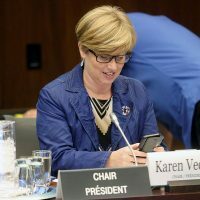 However, Debi Daviau, president of the Professional Institute of the Public Service of Canada (PIPSC) union, which represents nearly 60,000 government employees, warned in a post on the union website that departments cutting ties with SSC could simply outsource the IT work instead. 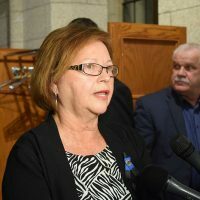 “At a time when the government should be investing in and strengthening its IT services, outsourcing more of those services does not serve either Canadians or our members,” she said in a statement.